Eight dreamy tracks are offered by Absent without Leave, through the label “sound in silence”. Throughout the album you will hear a really wide variety of musical instruments, Guitars, Bass, Keyboards, Programmed By, E-bow, Bells, Glockenspiel, Melodica, cello, drums and more, and all of these elements combine into a soft, wintery and melodic trip, gentle on the ears, but not devoid of dark gray clouds that rest in darker corners of it’s territory. 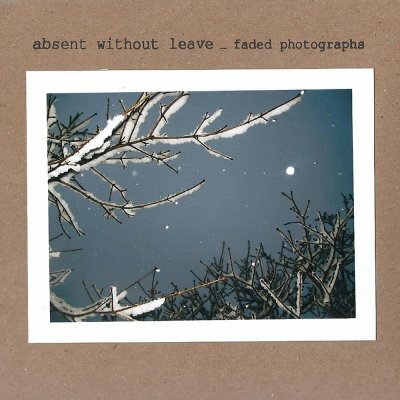 Faded Photographs begins with the Fragile “How the Winter Comes”, beautifully portraying the brittle hybrid of gloomy shoegaze music with a more dominant post rockis development, especially in the guitars section. Onward through the album, Absent Without Leave will let the white curtain of winter spread over the heads of their listeners, while escorting this cold, soothing touch of snow with their music. It seems that on the title track of this album, things are getting a little brighter, as the environment is cleared and warmed a little by this group. Indeed, AWOL shows more faces and angles on the next tracks, while staying loyal to their chosen destination. While I am usually a fan of harsher music, I found this album (more accurately, it found me) just in the perfect time, as it helps to convince me that summer is going away soon, to be replaced by better times. Maybe.